We’re beginning our final week of the #LoveYourLettering challenge. 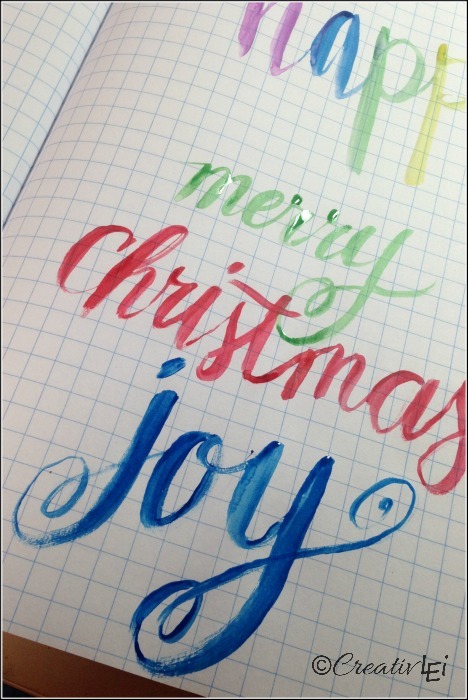 It’s bittersweet.I have so enjoyed this creating lettering journey with you. I’ve watched many of you go from being shy about your own handwriting, to embracing it’s unique nuances and learning how to use your natural style with confidence and creativity. That truly was the greatest goal of this series. This week we’ll start to tie together what we’ve learned. Of course it feels like we could go on longer, this was just an introduction of things you could do with your handwriting. We won’t necessarily be learning new things this week, just exploring how to push our creativity a little bit further. Today we’re adding watercolors into the mix. Some of the links below are affiliate links. My disclosure statement can be read here. I’m using a small Zig BrusH2O. the Aquash brush from Pentel is another great option. I like the water brushes for the nylon bristles and the portability. I can easily travel with them without worrying about spilling an open cup of water. 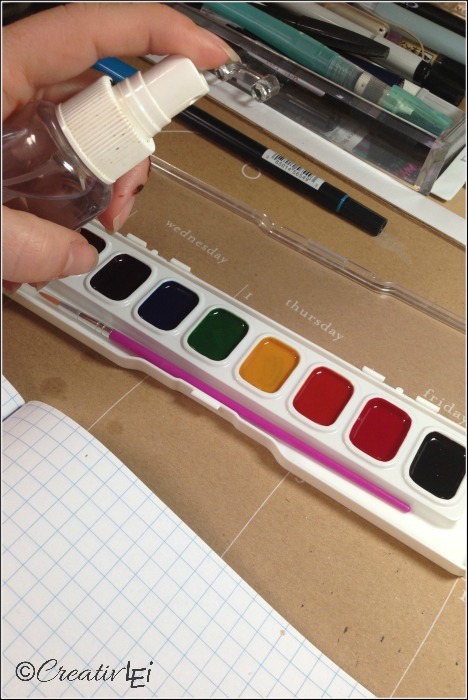 The watercolors I’m using this week are a very inexpensive set from Yoobi, I found them at my local target for $1.99. They fit nicely into my travel pen case. To begin, I use a small spritz bottle of water to prime the watercolors. This allows the caked paint to become creamy and ready to use. 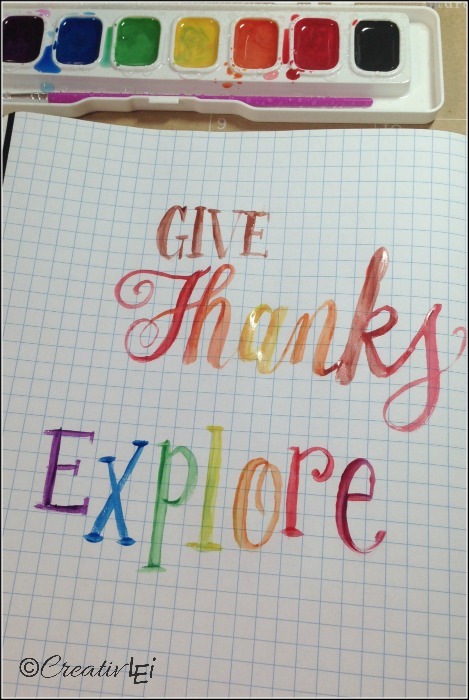 Watercolor letters will not be neat and perfect. We’re not going to have the hairlines like we saw with the Fudenosuke pen. This is more whimsical and free-flowing. It does take practice. 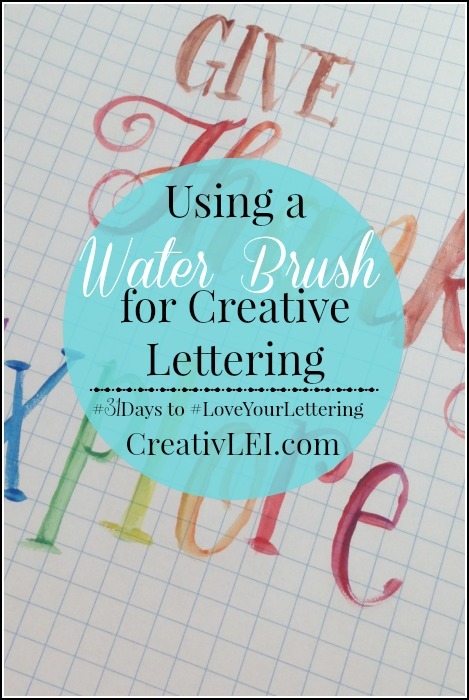 You can start with print or cursive, and remember what we’ve learned in previous assignments about weighting the downstrokes and releasing pressure on the upstrokes. 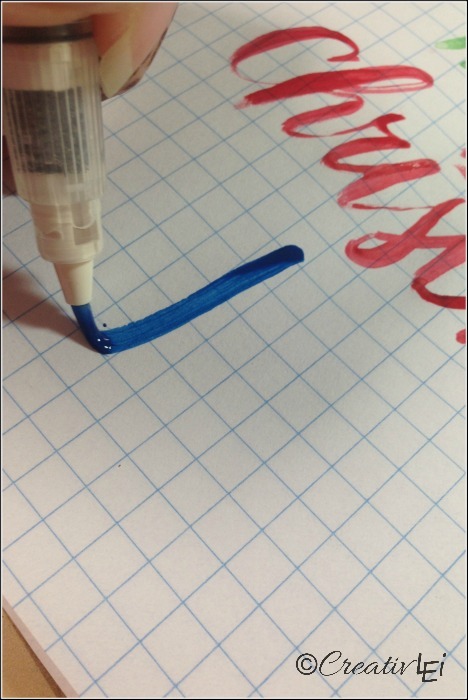 I do not squeeze the barrel of the water pen while writing, so I’m not flooding the paper with water. I’m really making use of the creamy, primed watercolors. This is truly pen play time. You might want to practice on a couple of sheets of printer paper. 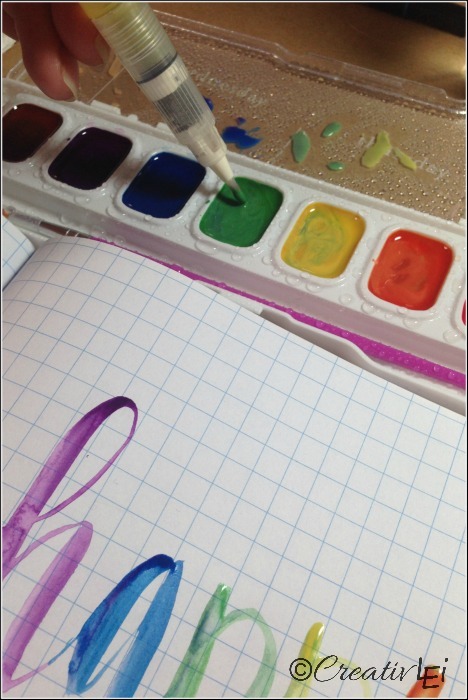 Here’s our Periscope demonstration of the waterbrush and answering your questions. You might have better luck with thinner lines and neatness if you used quality watercolor paper and watercolor paints IMHO. Thank you for your feedback. 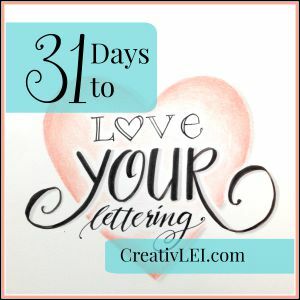 My purpose for this section is simply to introduce the foundations of the technique for those new to creative lettering and calligraphy.